When attempting to update the software, it is common for people to encounter the following error: "Cannot copy Config.exe". This error indicates that the Icewarp Control Console is still running somewhere on the machine. In order to run the upgrade, the console must be closed. 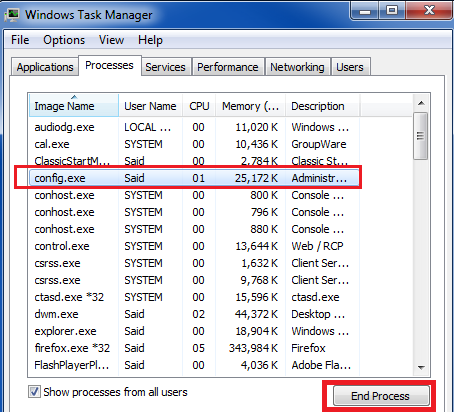 If you cannot actually see the console, you can open up the Windows Task Manager, look for the process Config.exe and manually close it there.